Can a political project exist outside of the power relations from which it is trying to emerge? In the twilight of Brazil's twenty-one year military regime, a new union movement emerged in Sao Paulo's industrial region, giving life to a new political party: the Workers' Party. The electoral success enjoyed by the party enabled it to champion a whole raft of democratic reforms and Brazil is now celebrated as a laboratory for popular and participatory forms of government. However, through analysis of the trajectory of the Worker Party's democratic experiment, the true challenge of embedding democracy inside existing state structures emerges. 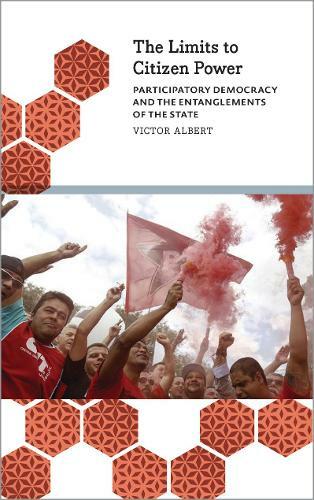 Drawing on long-term ethnographic research, Victor Albert provides a critical analysis of citizen participation in Santo Andre, in the region of Greater Sao Paulo where the Workers' Party was founded, holding a microscope to the power relations between political appointees, public officials and local community activists. Albert also reveals how different social actors think and feel about citizen participation away from formal assemblies, and how some participants engage in what is a tenuous, and at times mutually distrustful, tactical and strategic relationship with political patrons.